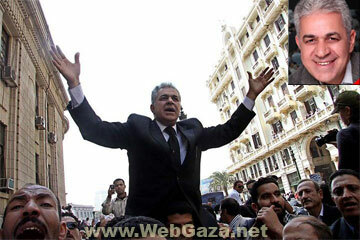 Hamdeen Sabahy - Who is Hamdeen Sabahi? Socialist Hamdeen Sabahy announces he’s running for president of Egypt as an independent candidate for the 2011 election. Founded the al-Karama party in 1996 after defecting from the Nasserist party. Sabahi was elected to the People’s Assembly in 2005 and expressed desire to run in 2005 presidential elections, though he later changed his mind and called upon citizens and opposition groups to boycott them. A founding and active member in the National Association for Change. A campaign supporting Sabahi’s presidential candidacy for the 2011 election is currently underway, and its organizers have reportedly gathered over 10,000 signatures endorsing him.